To overcome the high establishment costs associated with nearly every business, and achieve the business growth you aspire to have, you need the right equipment and assets. Marketlend is a marketplace where we provide a safe, fast, and effective platform to manage peer-to-peer lending for the lender, but most importantly, the customer. Using Marketlend you are able to apply for Asset and Equipment Finance. 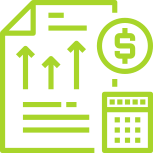 This is a progressive cash flow solution to quickly increase your cashflow and alleviate your financing worries by providing you the cashflow needed to access the resources you need for optimal business growth. Here at Marketlend, we offer quick and easy peer-to-peer lending so you don’t have to stress about dealing with big banks, and financial institutions, so you can focus on what’s important: your business. Our trusted lenders (experienced investors, sophisticated investors and institutional investors) offer short term and long term funding options to provide you enough capital to acquire the assets needed to lower input costs, set your terms on repayment and increase output for the maximisation of your business profits. 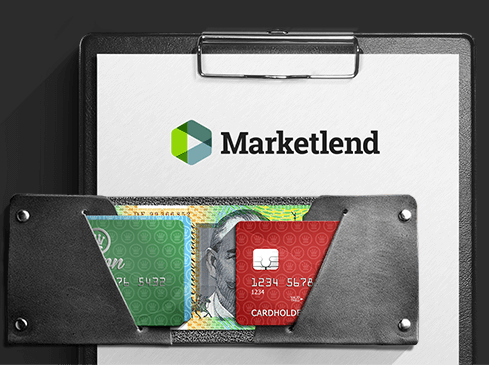 With rates as low as 0.8 per cent per month, and the ability to access extra cashflow from as early as thirty minutes after your claim, it’s no wonder why Martketlend has become Australia’s destination for financing Australian businesses. How do I apply for Asset and Equipment Finance? Obtaining Asset and Equipment Finance has been made easy with Marketlend’s simple to use marketplace. Our marketplace lending solutions can be used on the Marketlend hosted system that managers your entire peer-to-peer lending process. To apply for Asset and Equipment Finance, your business submits the invoice through Marketlend’s marketplace. Within a guaranteed 24 hours period, Marketlend processes the invoice, and funds the purchase for you. The equipment is now within your control to use and operate. Best of all, usage of all of our services are made secure by predictability software, and a secure payment system. Quick, efficient, effortless! So you can get your money from your lender as soon as 10 minutes after applying! At Marketlend, we use a technology platform to automate the transactions, and track application approval from the beginning until it is complete. This means our professionals are able to track and control each event within the peer-to-peer lending process. Who needs Asset and Equipment Finance? Asset and Equipment Finance is valuable to businesses of all sizes and and credit ratings. It is extremely popular with industries such as Automotive, Manufacturing, and Retail, who require regular innovation, and technological advances to improve efficiency. All lenders, and affiliated parties must register with Marketlend, and be approved so they are verified as a secure lender all your information is confidential, secure and protected. That’s why Australians now have a quick, easy, and reliable platform to access extra funds without worrying about big financial institutions. All lenders, and affiliated parties must register with Marketlend, and be approved so they are verified as a secure lender. That’s why Australians now have a quick, easy, and reliable platform to access extra funds without worrying about big financial institutions.